Oh c'mon... there must be newer news than that to post... and read... about? They have been ruling the industry for three decades and they’re still ruling it. Now they have decided to go one step further. All three of them have decided to devote time to not just acting but also to growing their production houses. Shah Rukh Khan was the first to go big with his banner but now he’s decided to make multiple films, and most of them will not feature him. PS: SRK has hired experts who can be key players in the expansion of his banner. Salman Khan, too, has done that. We hear Aamir Khan is also toying with doing the same. The pic is from their Eid celebration this year. There are wonderful, extensive youtube videos of it. I'm not sure that SRK home in a house packed with helpers, nanny's etc. is exactly babysitting....but we know he'll have fun hanging out with them. Aryan must be home on spring holidays. What pic?! you mean the one posted with the article? Yes, the pic with the article dnkdreamz mentioned that they hadn't seen it. So, I just alerted them to how many more of that day there are. Its a great video. grrr A man spending time with his own children isn't "babysitting". I'm glad they'll get to have this time together, though, since it seems like all their schedules have been packed lately. He looks like a baby here! The much-anticipated clash of titans for the Kolkata franchise of the Indian Super League (ISL) petered into a non-event as the Shah Rukh Khan-Sourav Ganguly confrontation never happened. It was always a one-horse race. Before the owners of the eight ISL teams were announced on Sunday, there was a lot of speculation in the media about the likely showdown between Ganguly and King Khan for the Kolkata franchise. However, it was announced that a consortium consisting of Spanish team Athletico Madrid, Harshavardhan Neotia, Sanjeev Goenka and Utsav Parekh besides Ganguly was awarded the franchise and no details about the likely competitors was given in the statement released by IMG-Reliance. And it now turns out that the former Indian skipper won the rights for the Kolkata team not because his was the best bid but for the fact that there was no competition. Shah Rukh Khan owned Kolkata Knight Riders never made a bid for the league and reports of KKR's interest and involvement in the league were mere speculations. Confirmed KKR CEO Venky Mysore, "We studied the property thoroughly. We were keen for a football team for Kolkata but we found out that it was not economically viable." The reason KKR did not make their disinterest public was because the organisers feared negative publicity. Mysore, who is currently with the KKR team in Abu Dhabi, confirmed that they were told to lie low till the final announcement. It is being felt that the ISL will need huge investments in the first three years during which period the teams could incur losses up to Rs 50 crore. That is one of the reasons why KKR backed out from the sporting property. So when Shah Rukh Khan declared that he wanted to have a football team for the people of Kolkata, he was actually not speaking with conviction. As he himself would admit, he was prevailed over by his team of hard-nosed professionals. Promoted by IMG Reliance and Star Sports, the franchise-based IPL-style football league has seven other teams from Mumbai, Goa, Kochi, Delhi, Bangalore, Pune and Guwahati. The league will be played on home and away basis sometime in September. Pray, what the hell Gauri's toughest times they are talking about? And who the hell is Karan to support Gauri? Isn't that SRK's duty to support his own wife? As a matter of fact, she doesn't need anyone support except her family. I got 25 of them! Days after we reported about Shah Rukh Khan's vanity van ramming into TV actor Karanvir Bohra's car parked outside a city studio, we have been informed that Team SRK gave the actor a car for temporary use. Confirms Karanvir, "Yes, Shah Rukh's team sent a car the very next day and told me I could use it till mine gets fixed. It's at the workshop now. They have also promised to bear expenses that aren't covered by insurance and they have taken care of everything." So, all okay now? "There was no need to drag SRK's name into this in the first place, as he wasn't even in the van. And the driver, who was at fault, apologised. Everything's been resolved now," he says. I certainly agree with the last sentence! dont believe everything you read...it may, or may not be true! And if it is true - good for him and his family. What an profitable investment these days . From September Abhishek will promote his biggie with SRK 'Happy New Year' followed by a world tour with King Khan. I heard about it before. It was announced at the press conference they had in dubai in january I think. The Dh8-billion Shah Rukh Khan (SRK) Boulevard in Ras Al Khaimah, which was put on hold in 2008, is being re-launched, industry sources told Emirates 24|7. “The project is being re-launched. The concept of the project is being currently reworked… certain components will be expanded or removed,” sources said. An official statement of the launch will be released once the project design is completed. Launched in 2007, Shah Rukh Khan Boulevard was being developed by TSA Group on Dana Island, which was to house several hotels, a shopping centre and commercial complexes spread across 6.3 million square metres. 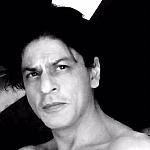 Shah Rukh Khan confirmed to this website in 2010 that the development had been put on hold following the global financial crisis. "To be honest, it kind of fell through at that point in time," he said, stating he was interested in the project. Sources said that Los Angeles-based designer Tony Ashai of Ashai Design Corporation, who was previously designing the project, is still involved. The entry to the project was to be through a glass gate followed by a boulevard with retail outlets and residential complexes, Ashai had said during the launch. At the centre of the project, the boulevard was to have twin towers, where each floor will have one apartment with a single lift-taking residents to their homes. The UAE’s real estate market has rebounded with property prices across the emirate witnessing increase. Dubai is leading globally with prices having risen by over 30 per cent last year. The exuberance has led to several project being re-started in Dubai and other emirates as well. Matinee idol Shah Rukh Khan has emerged as the second richest actor in both Hollywood and Bollywood combined list. Wealth-X's Hollywood and Bollywood Rich List released on Wednesday puts comedian Jerry Seinfeld right on top of the rich list. With an estimated net worth of $820 million, the 60-year-old comedian emerged as the wealthiest actor. However, it was Shah Rukh Khan, who was the only Indian actor in the top 10 combined rich list of Bollywood and Hollywood stars. Khan was found to be richer than Hollywood giants like Tom Cruise, Tom Hanks, Clint Eastwood or Adam Sandler. Wealth X said "Khan is estimated to be worth $600 million. Immensely popular around the globe as well as in his home country, India, Khan is also a producer, TV host, co-owner of an Indian cricket club and a philanthropist. He has appeared in more than 50 Bollywood films and is a regular at the annual Cannes Film Festival". Tom Cruise is the third richest actor worth $480 million followed by Johny Depp and Tyler Perry both tied at $ 450 million. Several Academy Award winners are featured on the list, including three-time Oscar winner Jack Nicholson, who has a net worth of $400 million, which puts the 77-year-old actor in 7th spot. Tom Hanks, who won best actor Oscars for Philadelphia and Forrest Gump, is in 8th place with a personal fortune of $390 million. Clint Eastwood, who at 84 is the oldest actor in the Rich List, has an estimated personal fortune of $370 million, making him the 9th wealthiest actor on the list. Bill Cosby stands 8th in the list with $ 380 million while Adam Sandler is 10th being worth $ 340 million. Wealth-X, which is the world's leading ultra-high net worth (UHNW) intelligence firm said Seinfield - the co-founder of the eponymous TV comedy "about nothing significantly increased his fortune through off-network syndication deals for "Seinfeld", giving him at least $400 million in the fifth syndication agreement last year. I would be happy for him ! Another thing - I wonder when he was a regular at the Cannes Film Festival?? He was there for "Devdas" but after that? Did I miss something?? Well maybe he is invited every year but not attending? Who knows . SRK initially was reluctant to endorse a pan masala brand. Upon realizing their preference for Salman earlier, he immediately agreed to endorse the brand and increased the cost by 100%. They are frustrated storytellers, I tell you.